Jon David Goldberg will face 40 years to life in prison when sentenced May 11 after a jury convicted him Friday of second-degree murder, with an enhancement for personally using a firearm to kill 42-year-old Tim Smith in September of 2016. After less than two days of deliberations following a month-long trial, the jury came to its unanimous verdict, also acquitting Goldberg of charges that he assaulted his wife with a firearm. Goldberg, 37, shot and killed Smith at the volunteer fireman’s home on Rohnerville Road in Fortuna at about 1 p.m. on Sept. 26, 2016. The shooting came after Goldberg learned that Smith was having an affair with his wife. 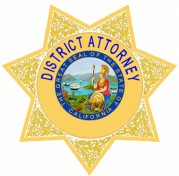 Humboldt County Deputy District Attorney Luke Bernthal prosecuted the case and Goldberg was represented by Deputy Public Defender Casey Russo. See past Journal coverage of the case here.